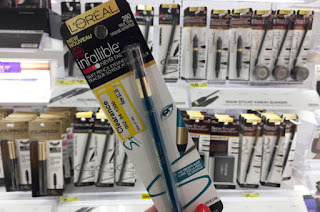 The Target Saver: Target: L'Oreal Infallible Eyeliner, Only $0.38 !! Target: L'Oreal Infallible Eyeliner, Only $0.38 !! Wow! Right now there is a high-value $2.00 Ibotta rebate offer to save on your favorite L’Oreal eye products at Target ! Take a look for clearance L’Oreal items at your store. And if you price match on other items, you can score a nice price at checkout.